The latest SBE Council report – Gap Analysis #3: Millions of Missing Businesses – is the third in a seven-part series highlighting key gaps in the U.S. economy. Washington, D.C. – On this National Startup Day Across America, the Small Business & Entrepreneurship Council (SBE Council) released its third “Gap Analysis” report, which points to an estimated gap or shortfall of between 867,000 and 4.8 million businesses in the U.S. economy. The second report – Gap Analysis #2: Lost Decade of Private Investment reported a historic gap or shortfall in private-sector investment over the most recent decade, for example, with real fixed nonresidential investment (or business investment) coming up $1.1 trillion (in 2009 dollars) short of where it should be in 2016. 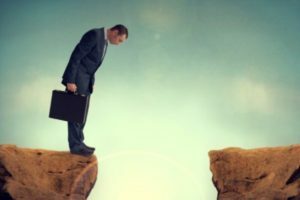 Gap Analysis #3 – Entrepreneurship in Decline: Millions of Missing Businesses points to an estimated gap or shortfall of between 867,000 and 4.8 million businesses in the U.S. economy. “Gap Analysis #4 – The Productivity Shortfall: Causes and Results” reveals the dramatic slowdown in productivity growth in recent years, with annual labor productivity growth averaging a woeful 0.4 percent from 2011 to 2016, compared to average annual growth of 2.0 percent from 1956 to 2016. “Gap Analysis #5: Americans’ Lost Income” reported that if per capita real personal disposable income grew at the average historic rate since 2009, real per capita personal disposable income in 2015 would have been $2,000 higher (2009 dollars) on average for individuals, and $8,000 higher for an average family of four. Gap Analysis #6: America’s Lost Jobs shows the dramatic shortfalls in the U.S. labor force and job creation. All told, if the U.S. had a reasonable level of employment relative to population, such as the level existing before this last recession, there would have been 8.1 million more people employed and 7.8 million more workers in the U.S. labor force in September 2016. The results in this third SBE Council “Gap Analysis” line up with the findings in the first two reports. The first analysis – Gap Analysis #1: The GDP Shortfall – estimated a GDP shortfall of $2.7 trillion (in 2009 dollars) in 2016 due to real GDP growth running at less than half the rate it should during a recovery/expansion period. The second report – Gap Analysis #2: Lost Decade of Private Investment – revealed a historic gap or shortfall in private-sector investment over the most recent decade, for example, with real fixed nonresidential investment (or business investment) coming up $1.1 trillion (in 2009 dollars) short of where it should be in 2016. This third SBE Council “Gap Analysis” is scheduled to be followed by reports on productivity, income, jobs, and trade, with a final report highlighting the basic policy changes needed to close these gaps. SBE Council is a nonpartisan, nonprofit advocacy, research and education organization that works to protect small business and promote entrepreneurship. For nearly 25 years, SBE Council has advanced key policies and initiatives to strengthen the ecosystem for startups and small business success. To learn more, visit SBE Council’s website: www.sbecouncil.org. Follow on Twitter: @SBECouncil.